It’s been a long time since I last saw “Blue Opal”, though I’ve been able to keep up with what’s happening to her via regular calls to the yard where she’s being worked on. Today, I got a photographic status update. That’s the new stern tube glassed in, filler work has started, and they’re doing finishing works on the interior surface to make it ready for accepting the inboard end of the stern gear. 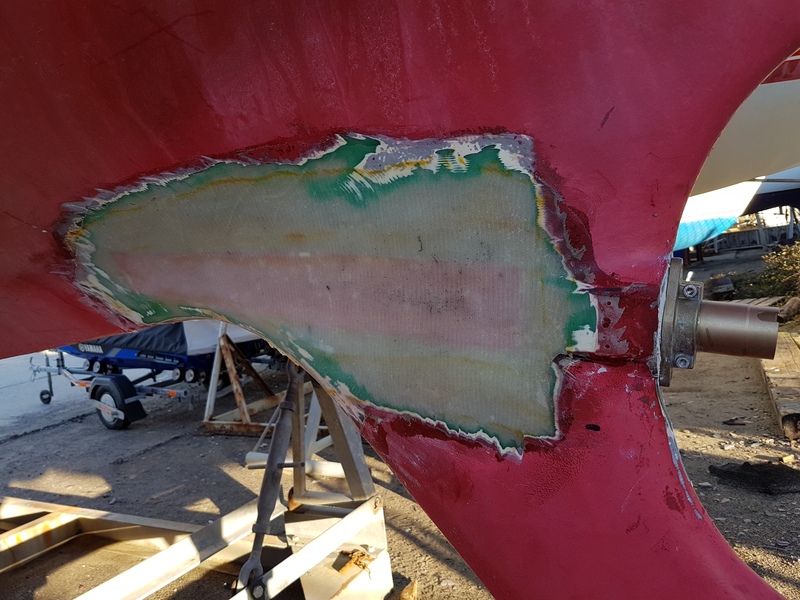 Once everything has set, the local engineers will be fitting the remaining inboard gear, including the take-off from the engine cooling circuit to lubricate the inboard bearing seal.